Terence Gruters was born in 1945 in Texas. He enlisted in the U.S. Air Force Reserve on June 14, 1963, and went on active duty to attend the Air Force Academy Prep School from July 11, 1963, to June 28, 1964, when he entered the Air Force Academy. 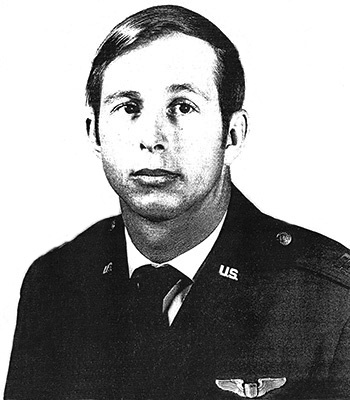 Gruters was commissioned a 2d Lt in the U.S. Air Force on June 5, 1968, and then completed Undergraduate Pilot Training in August 1969, receiving his pilot wings at Moody AFB, Georgia. After completing survival training and O-1 Bird Dog Forward Air Controller (FAC) training, Lt Gruters served as an O-1 FAC with the 22nd Air Support Squadron at Bien Hoa AB, South Vietnam, from January 1970 to January 1971. His next assignment was as a B-52 Stratofortress pilot with the 77th Bomb Squadron of the 28th Bomb Wing at Ellsworth AFB, South Dakota, from January 1971 until he left active duty on June 4, 1973, during which time he participated in Arc Light and Linebacker I & II bombing missions in Southeast Asia from February to July 1972, and August to December 1972. 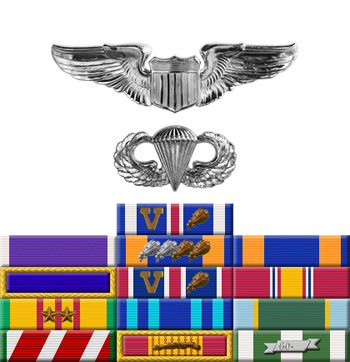 Capt Gruters was honorably discharged from the Inactive Air Force Reserve on February 14, 1980.